Foreign Minister Sigmar Gabriel said Tuesday he did not expect a rapid normalization of ties between Germany and Turkey, due to significant differences on major issues. 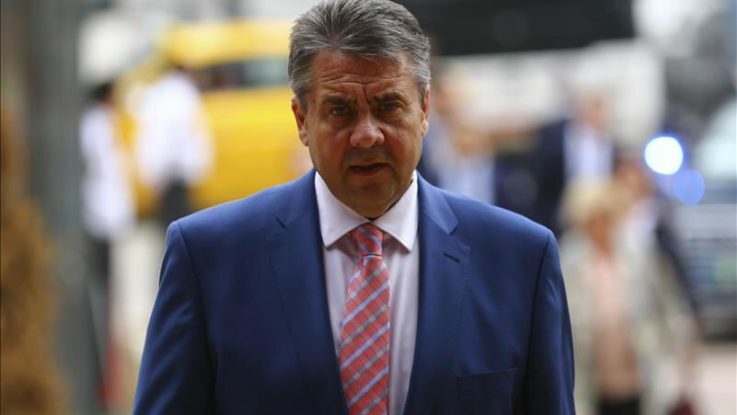 Speaking to public radio Deutschlandfunk a day after his visit to Ankara, Gabriel said his last-ditch effort to resolve the Incirlik Air Base row had not yet yielded any positive results, and German troops at the facility would be relocated to Jordan. “Yesterday, I … telephoned [German defense minister] Von der Leyen, and the Chancellor. We have very quickly agreed on taking a decision at the cabinet on Wednesday, and I believe that the Defense Ministry has already worked on plans for the withdrawal,” he said. Turkey’s government has turned down requests by German lawmakers to visit their troops stationed at Incirlik Air Base in southern Turkey. However, on Monday Turkish Foreign Minister Mevlut Cavusoglu said German MPs could visit troops stationed at a NATO air base in Konya, central Turkey. Ankara has been upset at a number of issues with Germany including the composition of several German Incirlik delegations to include lawmakers who have been openly supportive of the PKK — which is listed as a terrorist organization by Turkey, the EU and the U.S.
Germany’s top diplomat expressed regret that, after his visit to Ankara on Monday, Germany and Turkey were still far from normalizing relations, due to persistent differences. “Incirlik is not something unimportant, but unfortunately there are more reasons, which pose the question, how we can have restore reasonable relations again,” he said. Gabriel claimed that Turkey’s request from the German government to extradite PKK suspects and deny asylum to individuals linked to last year’s foiled coup attempt orchestrated by the Fetullah Terrorist Organization (FETO) were not something that they could positively respond to, due to legal and institutional constraints. He also said the pre-trial detention of journalist Deniz Yucel, German daily Die Welt’s Istanbul correspondent, had been one of the major sources of disagreement between Ankara and Berlin. Yucel is facing accusations of spreading propaganda for the PKK and inciting hatred, but is denying the allegations. Ties between Ankara and Berlin have been strained in recent months as Turkish leaders slammed Germany for turning a blind eye to outlawed groups and terrorist organizations, while German politicians criticized Turkey over human rights and press freedom issues. Germany, which hosts a three-million strong Turkish community, is among the countries where the PKK has a large network which carries out significant propaganda, recruitment and funding activities. Ankara has also slammed Berlin for tolerating activities of Fetullah Terrorist Organization (FETO), which has dozens of private schools, businesses and media organizations in the country. Led by U.S.-based Fetullah Gulen, FETO is believed to have organized last July’s attempted military takeover in Turkey, which left 250 people martyred and nearly 2,200 injured.